Amid the storms and icebergs of the far Southern Ocean, a deadly chase is underway. The Uruguayan-flagged Pescador has been spotted fishing illegally for Patagonian toothfish in the waters off Heard Island. The crew of an Australian patrol vessel, the Australis, has been given instructions to pursue the Pescador and not let her out of its sight. Equally determined, Carlos, the Pescador’s master, sets an escape course south, directly into a storm. But the Australian boat in hot pursuit is not the only source of anxiety among the crew of the Pescador. Each has his own secrets and ambitions. As the drama unfolds at sea, so too do the stories of the human lives caught in its nets. For the men on board the boats, and the women they’ve left behind on shore, there is much at stake. 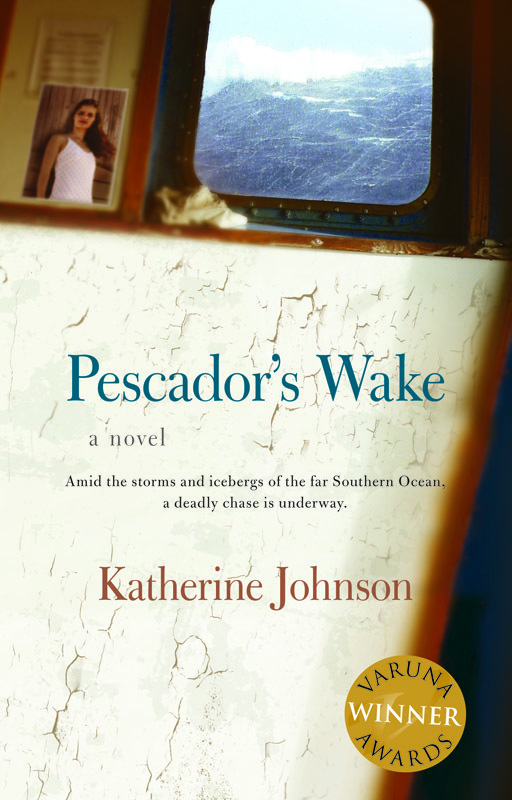 In this gripping debut novel, Katherine Johnson evokes the danger and heartbreak of lives at the mercy of the sea, and weaves a breathtaking story of love, loss and hope.